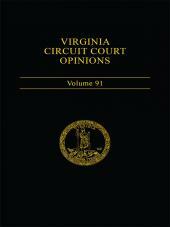 An ideal publication for anyone interested in Virginia lakes, rivers, tidewaters and wetlands. 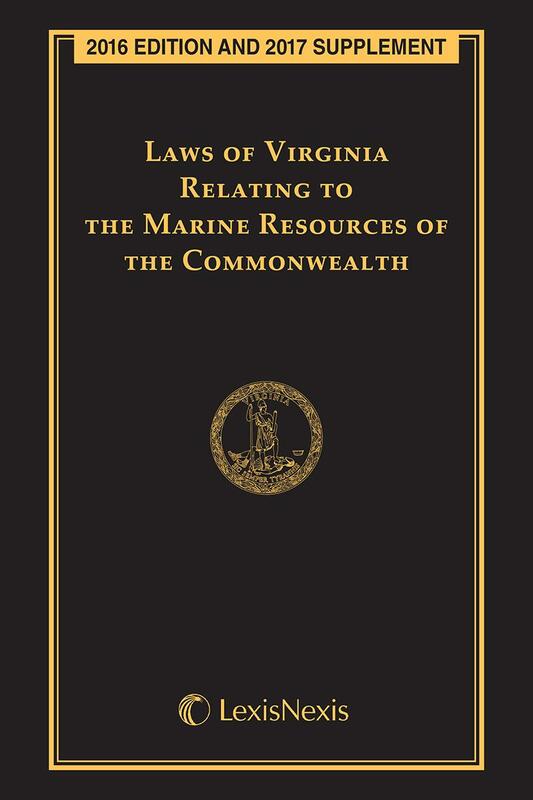 This fully annotated edition, updated through 2014, is an ideal publication for Marine Officers, Land Surveyors, Commercial and Recreational Fisherman, Boat owners, Environmentalists, and anyone else who travels or is interested in the tidewaters, wetlands, lakes, rivers and streams of Virginia. 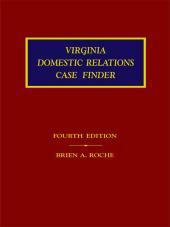 This publication contains annotated laws extracted directly from Michie's Code of Virginia and is updated annually. Title 28.2 Fisheries and Habitat of the Tidal Waters. Title 62.1 Waters of the State, Ports, and Harbors. Title 3.1 Agriculture, Horticulture and Food. Title 8.01 Civil Remedies and Procedure. Title 15.2 Counties, Cities, and Towns. 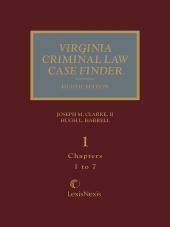 Title 18.2 Crimes and Offenses Generally. Title 29.1 Game, Inland Fisheries and Boating. 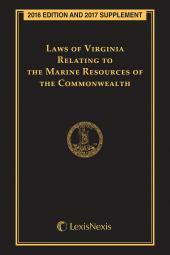 Constitution of Virginia, Article XI. Original Compact between Maryland and Virginia. First American Legislation Licensing Taking of Oysters and Fish.